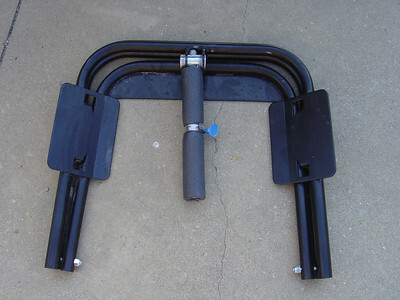 It is very important that the BAL leveler screw is greased and kept clean. I use a piece of insulating foam to keep the screw covered when not in use. 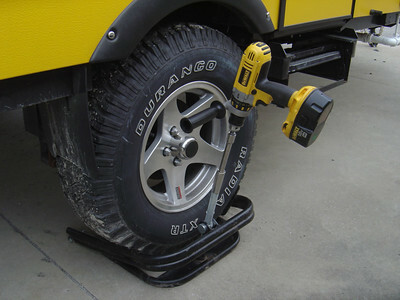 The BAL leveler was too small for my 15 inch tires. 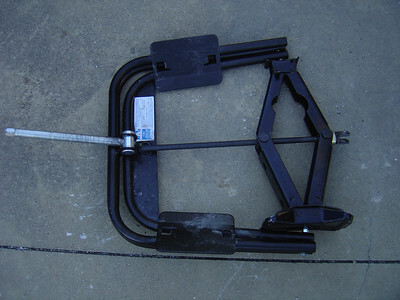 I used a scissors jack to carefully open the ends of the BAL leveler to the point were it would fit around my tires. This is a close up of the covered screw. I use a large thumb screw to thighten or loosed the clamp. When thightened, I can carry the BAL level by holding the foam. 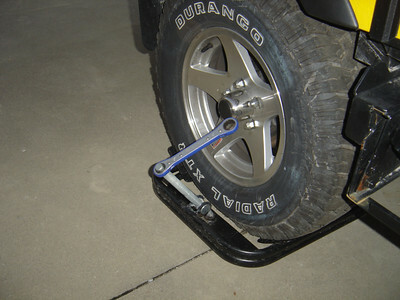 The BAL leverler is placed under the tire which needs to be raised. 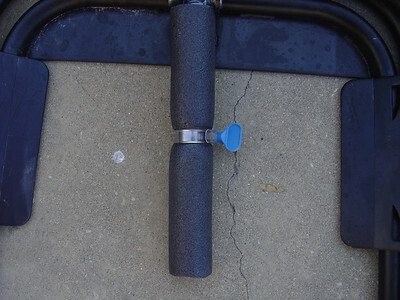 The end of the screw needs to placed in a ring at the base of the leveler. The wrench is turned clockwise to raise the tire and anti-clockwise to lower it.